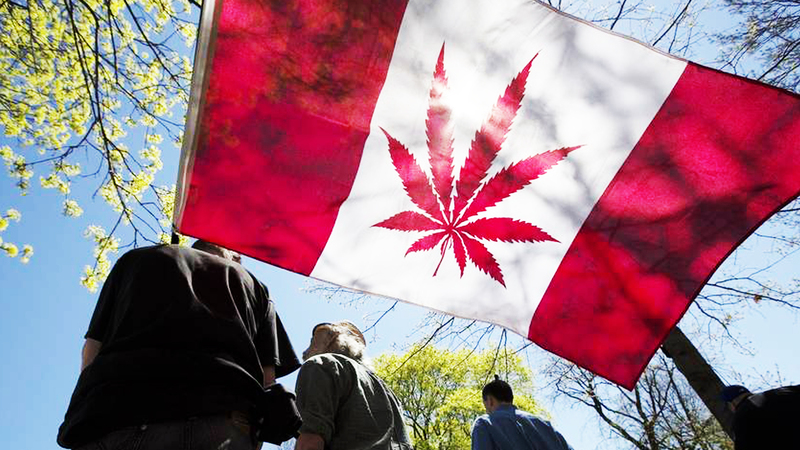 As Canada’s self-imposed deadline for legal recreational weed grows near, Canadian provinces are beginning to release regulations to govern how cannabis sales will be handled in their jurisdictions. The country’s federal government will set some of the rules for cannabis sales that will apply throughout the country, but each individual province is left on its own to draft rules regarding the minimum age of users, the location and licensing of retail stores, whether or not home grows are allowed, and many other details. In Manitoba, the Progressive Conservative government released their Safe and Responsible Retailing of Cannabis Act this week, which will allow anyone aged 19 or older to purchase weed at retail stores or online, CBC News reports. The new laws will allow cannabis to be sold at two different kinds of retail stores. One store would be strictly age-restricted, with those under 19 prohibited from entering the premises. The other kind of store would be open to all ages, but would not be allowed to openly display marijuana products for sale. Any of these licensed storefronts will also be allowed to sell weed online, but the recipient must sign for every delivered package. Manitoba’s regulations also detail ways to encourage safe consumption. Every retail store must post information regarding possible side effects of marijuana use near their register. The regulations will also channel two percent of the province’s cannabis tax revenue to fund grants for companies to promote safe cannabis consumption. The rules also make it illegal for an individual to give, sell, or even pass a joint to an intoxicated person. Furthermore, any Manitoban will be prohibited from growing weed in their own home, unless they have a medical cannabis permit. Meanwhile on the West Coast, British Columbia’s government has released a preliminary version of their own cannabis regulatory framework. These regulations will make the B.C. Liquor Distribution Branch the sole distributor of recreational cannabis, which would then be sold in both public and private stores. The provincial government has not yet hashed out the details on these stores, but B.C. Solicitor General Mike Farnworth told reporters that more information would become available by next February. The preliminary regulations do not reveal whether or not online sales would be handled by the government, private stores, or both, but do impose a minimum age limit of 19 for cannabis users.